Can two empaths be in a successful relationship together? Answer: Two empaths can be in a successful relationship together. I’ve treated many empath couples and taught them how to honor each other’s sensitivities. The positive side is that they easily understand what each other is feeling. The more challenging aspect is creating a life where you can define your own needs and set adequate boundaries with each other to feel safe and calm. Two empaths who are overwhelmed by the world at the same time can create anxiety at home. That’s why it’s so important for each partner to have his or her separate quiet space to unwind. When empaths are triggered by the world they should take a time out to regroup and decompress. Though it is often challenging for two empaths to be in love, over the long term it can be successful when the mutual respect and communication is there. The passion and heart connection is incredible! 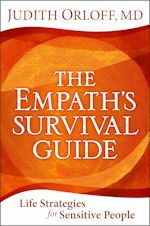 Please read the section on relationship empaths in my book The Empath’s Survival Guide for further guidance.